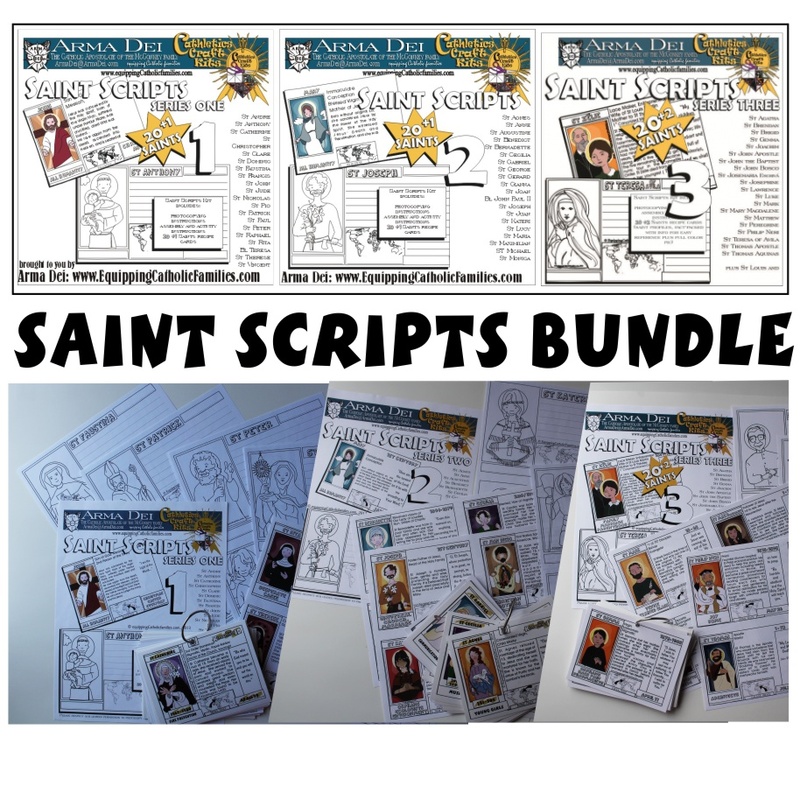 It’s a little last minute, but we’ve gathered all our Saint-themed Cathletics Craft Kits…in case you’re looking for All Saints Day Activities! 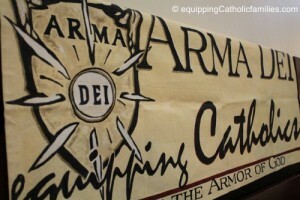 Check out our SAINTS Craft Kits over at the Arma Dei Shoppe! 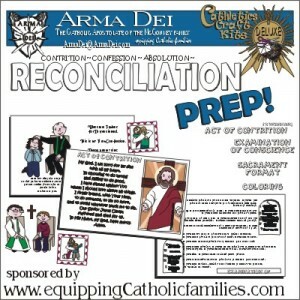 The great thing about Cathletics Craft Kit Printables is that the kits include permission to make copies for class sets! 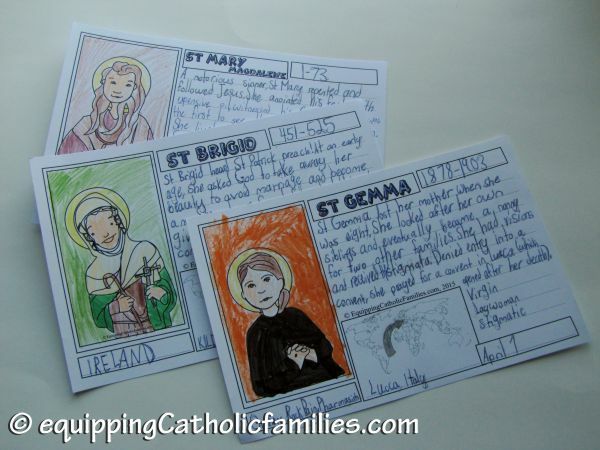 We’ve discovered that laminating the templates, quizzing cards and Kelly Saints Stamps allows us to use them year after year…displaying them at conferences and enjoying them on various Saints Days…and especially All Saints Day! 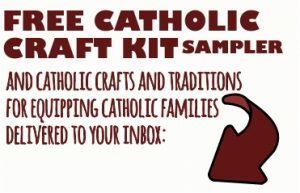 Print and assemble the kit ONCE…and we’re confident that it will survive many ways to play…class after class, year after year! 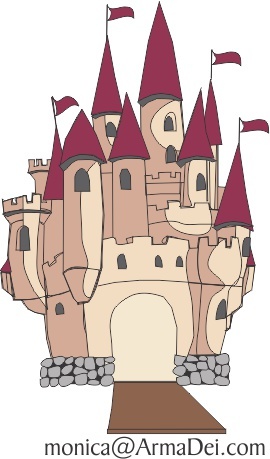 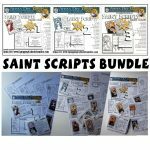 We now have 64 Saint postcard and research project craft kits across the THREE Saint Scripts Craft Kits! 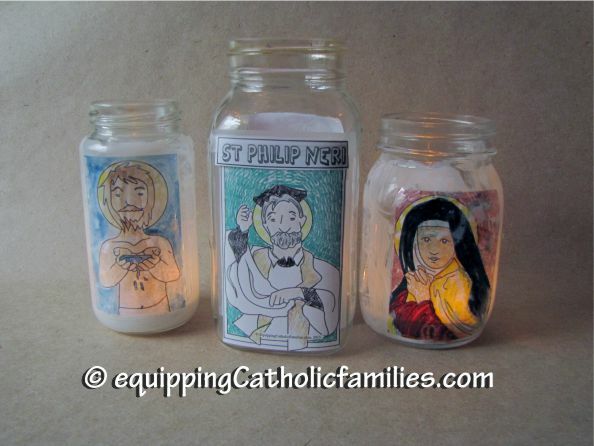 …and SAINTS ACTIVITY 2: our DIY Kelly Saints Votive Candles! 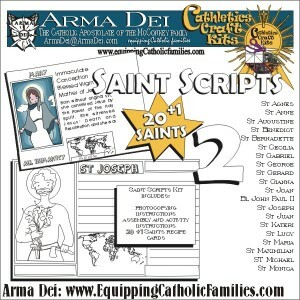 with our Kelly Saints Stamps Craft Kit and our most popular product ever: Super Saints cards! 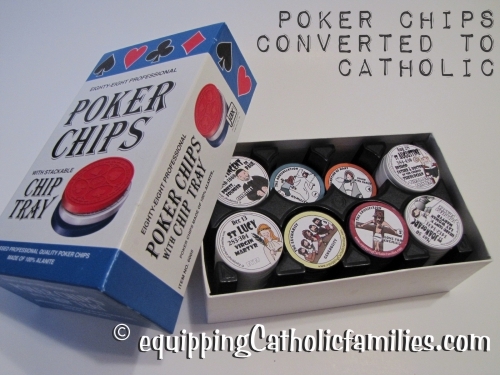 We have converted Poker Chips to Saint Tokens, Mysteries of the Rosary Tokens, Stations of the Cross Tokens and Saint and Sacrament Tokens (from reduced Cake Topper Templates)…and even added little hangers to turn them into ornaments for a Saint Tree! 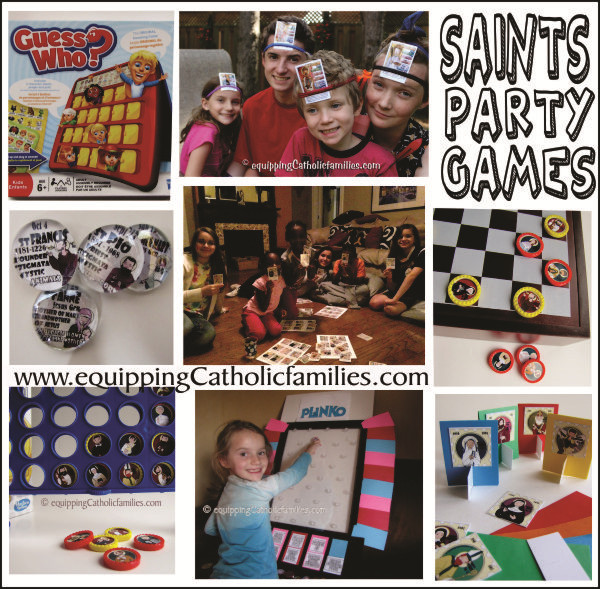 Saint Tokens (Kelly Saint Stamp-covered Poker Chips) can be used as collectibles, currency or tickets for games at All Saints Day Parties and loot bag favors! 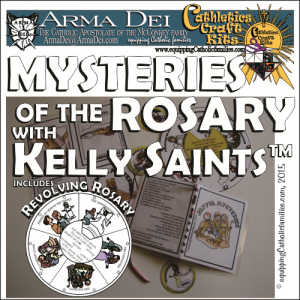 SAINTS ACTIVITY 5, 6, 7 and 8: The same Kelly Saints Stamps Craft Kit has MANY different formats of stamps to convert your Connect4TM, Guess Who? 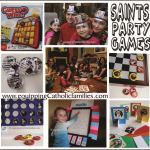 !TM Checkers and even MonopolyTM! 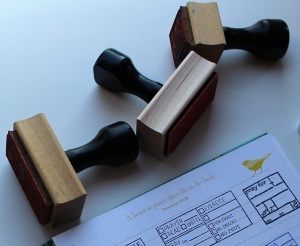 Stickers can be made out of the Stamp templates for lots of crafts and activities! 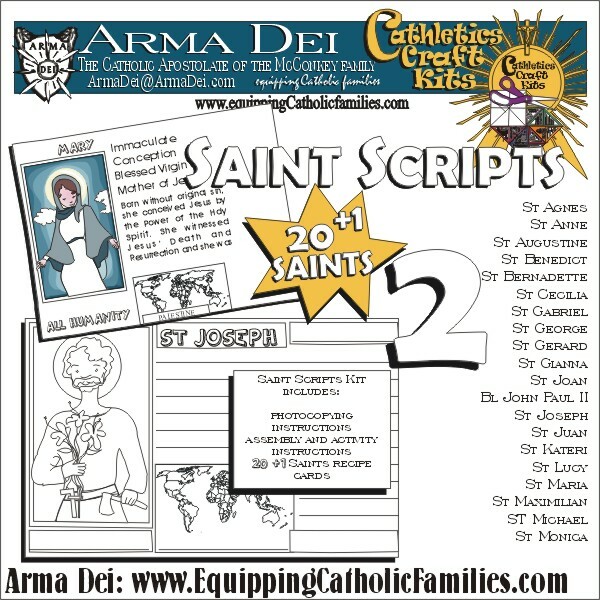 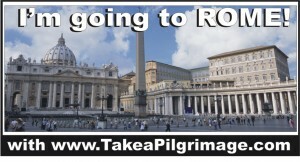 Please purchase your Super Saints decks here. 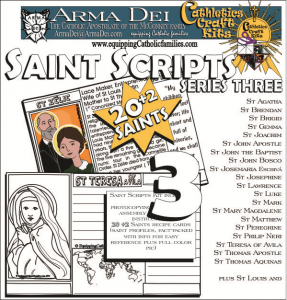 SAINTS ACTIVITIES 9: Assemble the Super Saints cards in sets of 9…for instant BINGO! Use a second deck or Saint Tokens (see above) to call out the Saints! 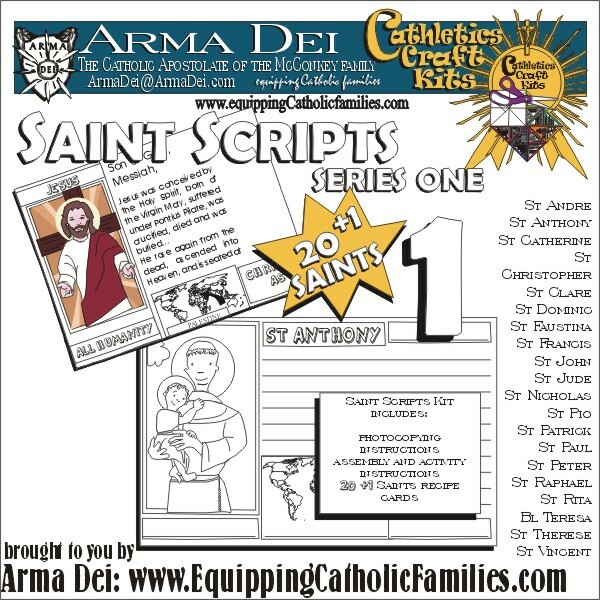 SAINTS ACTIVITIES 12: Super Saints can be played with the game HedBanzTM as each player asks yes or no questions to figure out the identity of the Saint Card placed on the forehead. 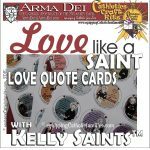 These kits include color postcards with the same Kelly Saints images, quick facts and a short bio for 21 Saints in each kit. 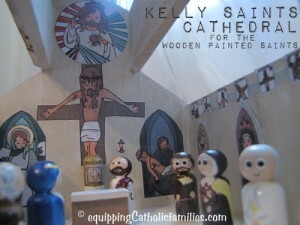 The kits also include black and white templates for kids to color the Kelly Saints and fill in the details about the Saint. 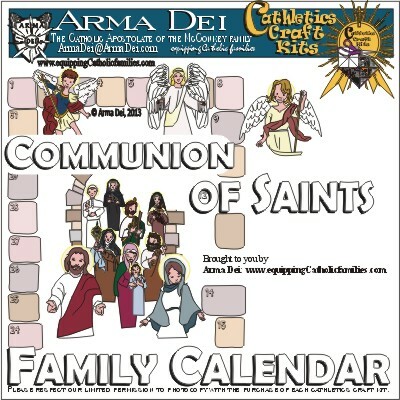 An assembled Communion of Saints Perpetual Calendar is a lovely prize for a family to take home from the All Saints Day Party! 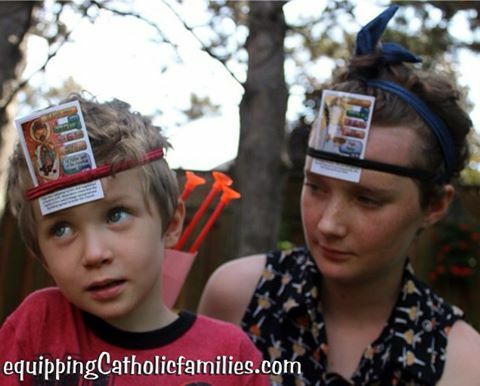 Super Saints decks also make great prizes! 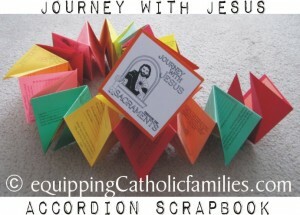 …or even break open a deck or two to give just one or two cards to each child as prizes! 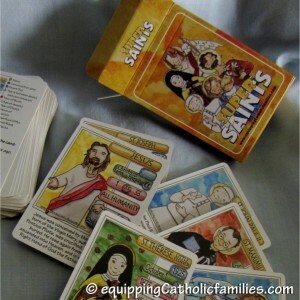 They will love collecting the Saints cards, will compare their cards with their friends and will be eager to earn more! 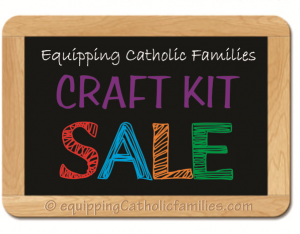 Remember…you can make Saint Tokens out of Poker Chips with the Kelly Saints Stamps Craft Kit! 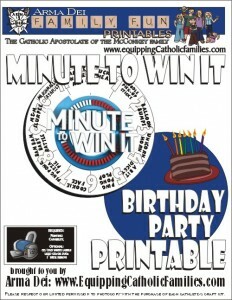 These make great prizes and collectibles too! 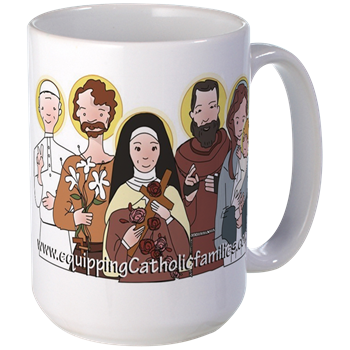 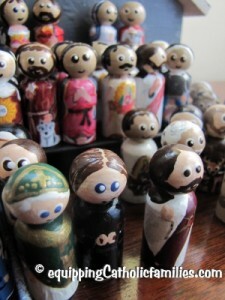 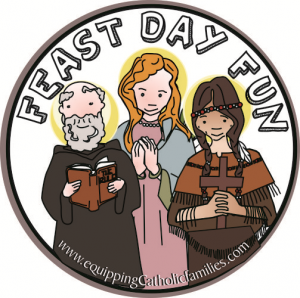 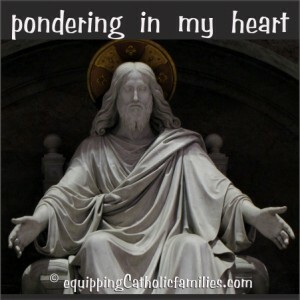 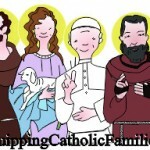 Equipping Catholic Families to celebrate All Saints Day!